Scenic Oak Creek Frontage, 9+acs with irrigation rights and well (grandfathered). Two residences and five other buildings. 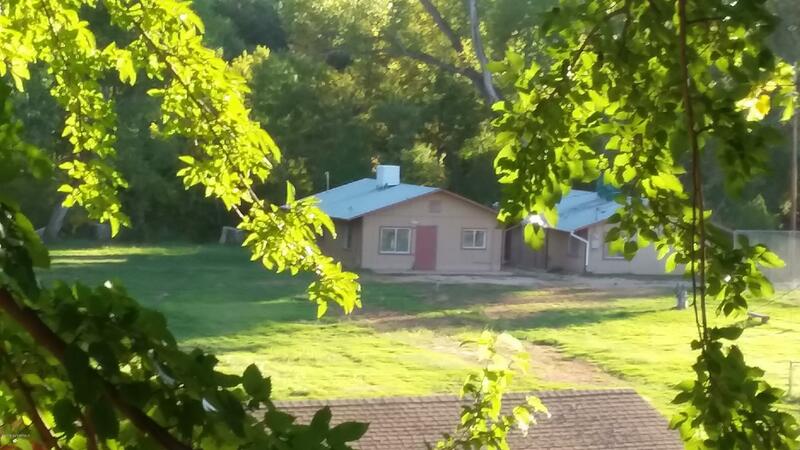 These concrete block vintage structures were last used as dormatory residences for students at the Oak Creek Ranch School. Quiet and Private with lush trees. Horses OK, green pastures and room to Garden.